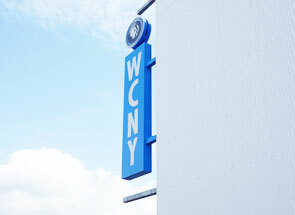 Live at WCNY – On the Radio! Keep in touch with upcoming musical events as local, regional, national, and international musicians and artists visit the Classic FM studios. 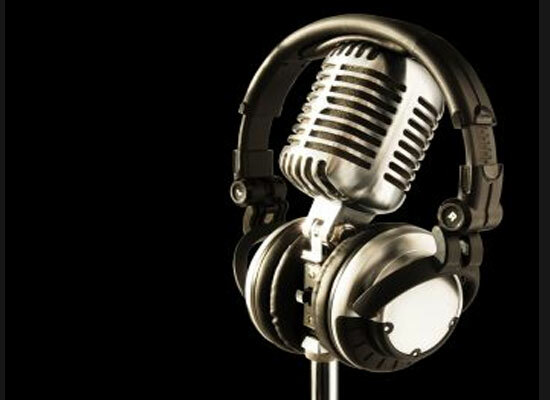 Interviews and live performances inform and entertain you! Follow WCNY on Facebook and Twitter to learn of upcoming Live at WCNY Radio Events, with host Diane Jones. 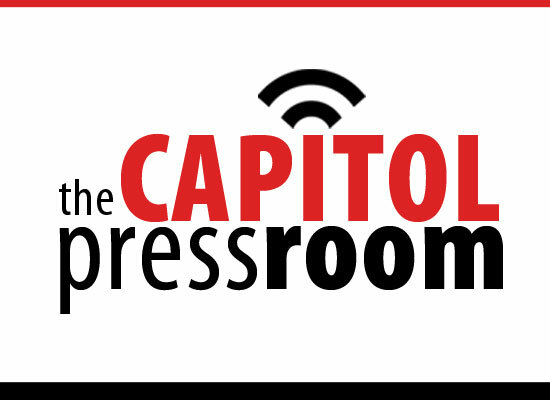 Diane Jones is your mid-day host weekdays from 10 am to 2 pm. 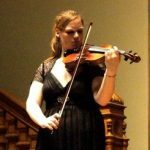 An active composer, she has received commissions from nationally and internationally-recognized musicians and ensembles, as well as completing 5 residencies in Syracuse area schools, introducing young musicians to composition. 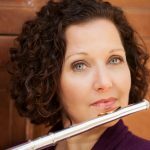 Diane performs regularly with Samba Laranja and the Central New York Flute Choir, and her music has been featured on two SAMMY-award winning CDs. 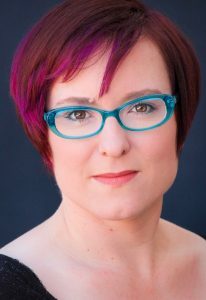 Follow Diane on Twitter (@ComposerJones) and Facebook (PetDragonMusic) for more about her programming and her music. 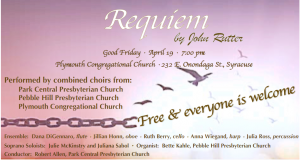 The combined choirs from three area churches are joining forces to present John Rutter’s “Requiem” on Friday. Robert Allen from Park Central Presbyterian Church is conducting, and Dr. Joseph Downing from Plymouth Congregational Church is hosting the performance. Bob and Joe joined mid-day host Diane Jones to talk about the piece, the logistics and joys of putting it all together, and plans for future collaborations between the groups. The choirs are joined by Bette Kahle from Pebble Hill Presbyterian Church on organ, and a chamber ensemble of professional musicians. Learn about Park Central here, Plymouth Congregational here, and Pebble Hill here. 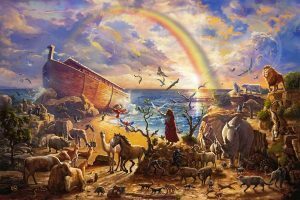 Oswego Opera Theater is presenting Benjamin Britten’s opera, “Noah’s Flood” this weekend. Director Juan LaManna stopped by the Classic FM studios to chat with mid-day host Diane Jones about the production. You’ll learn about the varied cast, Britten’s inspiration for the opera, and why he wanted it performed in churches rather than theaters. Juan gave us some information about next season’s productions as well. Information about Oswego Opera Theater can be found here. Jeffrey Siegel is once again bringing his Keyboard Conversations to Utica this weekend. 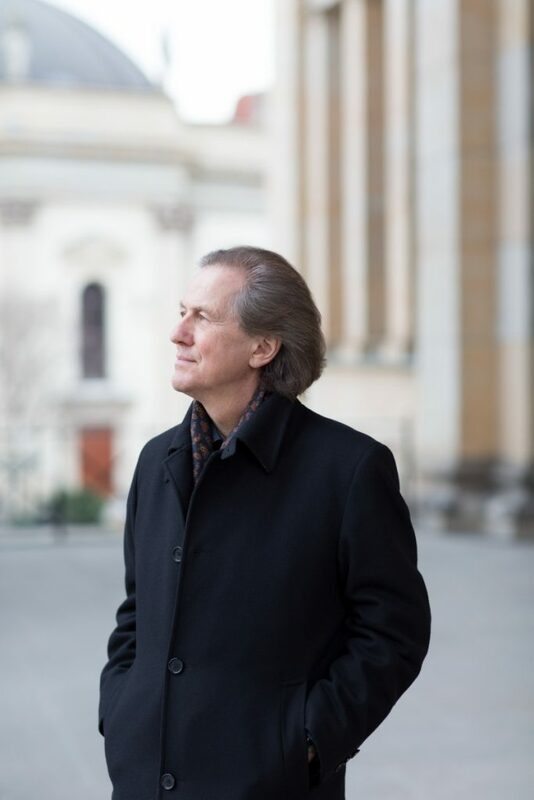 Jeffrey spoke to mid-day host Diane Jones about this program of music centering around “Chopin in Paris,” as well as his first introduction to Chopin’s works. Learn more about Jeffrey and his Keyboard Conversations here. 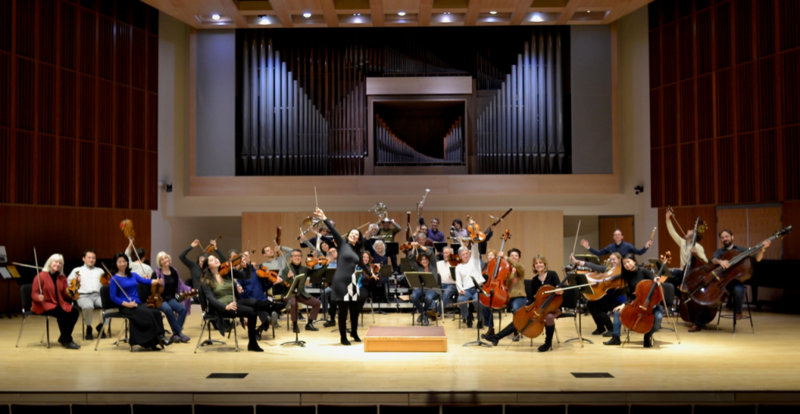 The Cayuga Chamber Orchestra celebrates partnerships in performance and the community with “Partners in Time,” their concert this weekend in Ithaca. Music Director Cornelia Orth spoke to mid-day host Diane Jones about the concert, which includes collaborations with a soloist, a choreographer, and the CCO Youth Orchestra. You’ll also learn about the youth ensemble Cornelia joined as a child in Sweden. Find out more about the Cayuga Chamber Orchestra here. Syracuse City Ballet is going back to Never Never Land, after 20 years away! Artistic Director Kathleen Rathbun stopped by the Classic FM studios to chat with mid-day host Diane Jones about this re-envisioned production, and the dancers who are returning to Syracuse to be part of the production, on stage and in the audience. We also chatted about the technical challenges of the production (yes, there will be flying!) and what to look forward to next season. 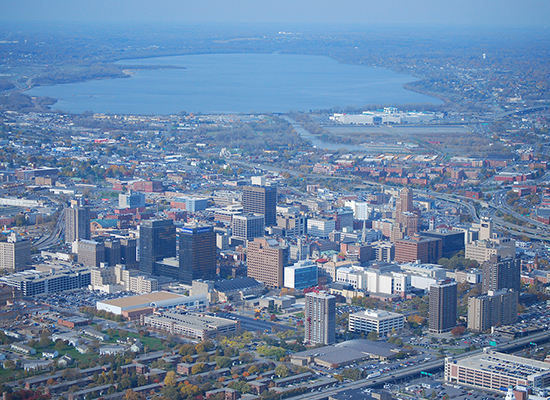 Find out more about the Syracuse City Ballet here. Dr. Julie Pretzat is stepping back into the choral conducting world as she guest conducts this weekend with the Syracuse Vocal Ensemble. Julie spoke to mid-day host Diane Jones about this weekend’s program, and the joy of stepping in front of the ensemble again. Information about the Syracuse Vocal Ensemble can be found here. 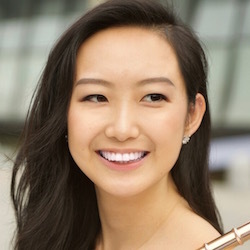 Flutist Xue Su is stepping out of her normal role as Principal Flute for Symphoria, and will be the soloist this weekend, joining the orchestra for Lowell Liebermann’s Flute Concerto. 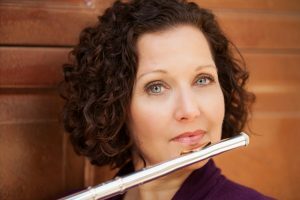 She spoke to mid-day host Diane Jones about the piece, as well as how she juggles her musical life, and how she chose the flute. Find out about Symphoria here. 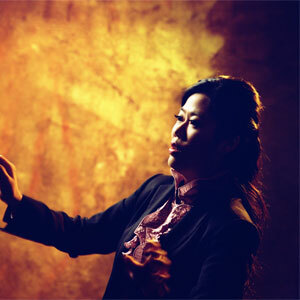 And learn about Xue Su at her website, here. 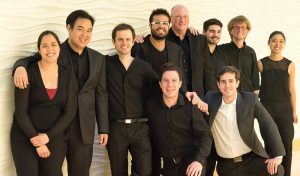 The Frisson Ensemble is a New York City-based ensemble featuring some of classical music’s rising stars drawn from many of the nation’s major music schools including Juilliard, Curtis, and Yale. Founder and artistic director Tom Gallant spoke to mid-day host Diane Jones in anticipation of this weekend’s concert for the Syracuse Friends of Chamber Music. He spoke about the history of this young ensemble, and some of their hopes for the future. 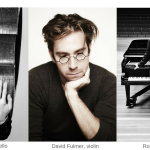 You can find information on this weekend’s concert at the Syracuse Friends of Chamber Music site here. 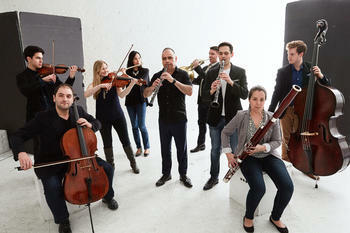 And more about the Frisson Ensemble can be found on their website, here. Information about CMM In Recital Live can be found here. Duo Sonidos is giving a concert at Unity Hall this weekend for the release of their new CD, Wild Dance. 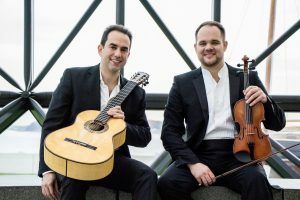 Mid-day host Diane Jones had the chance to speak to Duo Sonidos (Adam Levin and Will Knuth) about the concert, and to share a bit of music from their CD. Adam and Will just learned yesterday that their CD debuted at #16 on the Billboard Classical Music chart! Find out more about Duo Sonidos on their website. 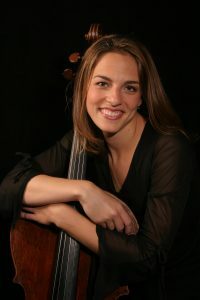 Cellist Julie Albers returns to Syracuse, joining Symphoria for this weekend’s performance of the Haydn Cello Concerto in D Major – a work she says is her favorite. She joined mid-day host Diane Jones to talk about the upcoming concert, why she took up the cello, and how she fell in love with her instrument. More about Julie Albers on her website, here. Information about Symphoria is available here. The Silverwood Clarinet Choir is presenting a concert this weekend in cooperation with CMM. Kathy and Ken Freer, two of the founding members of the choir (and the artistic director and business manager, respectively) came to the Classic FM studios to chat with mid-day host Diane Jones about the concert, including the work that inspired the title of the concert, the Chalumeaux Suite by Jukka Linkola. We also learned more about the people who perform in this ensemble. 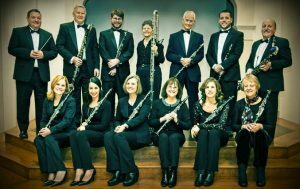 Learn more about the Silverwood Clarinet Choir here. 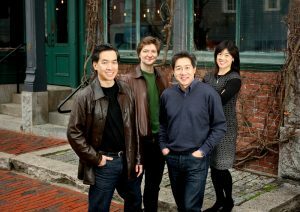 The Chamber Music Society of Utica presents The Ying Quartet, with clarinetist Jon Manasse, this weekend in Utica. 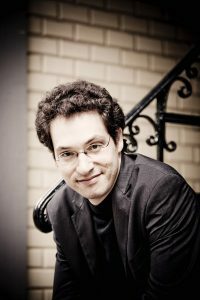 Mid-day host Diane Jones spoke with Jon Manasse and David Ying about the concert, the new work by Christopher Theofanidis, and the joys and rewards of mentoring young musicians. More information about the Chamber Music Society of Utica can be found here. 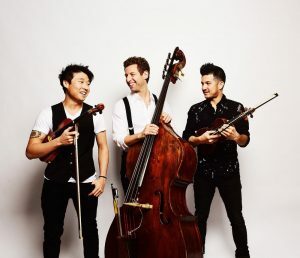 Learn more about the Ying Quartet here, and about Jon Manasse here. 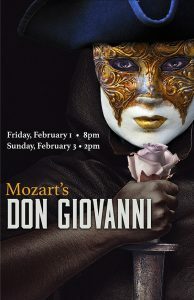 Syracuse Opera continues its season of “Men With Knives Behaving Badly” with Mozart’s “Don Giovanni.” Artistic Director Christian Capocaccia spoke with mid-day host Diane Jones about this production – and the joy at his first opportunity to conduct a Mozart opera. He also talked about being part of the community, and some of his hopes for future seasons. 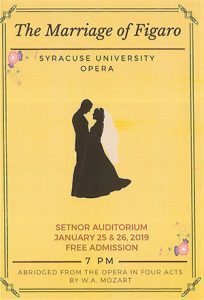 The Opera Theater at the Syracuse University College of Visual and Performing Arts is presenting the Marriage of Figaro this weekend. Professor Eric Johnson, who is directing the production, along with Jacob O’Shea (Figaro) and Julia Clifford (Susanna), stopped into the FM studios to chat with mid-day host Diane Jones about the production. We also talked about bringing opera into everyday life at a young age. 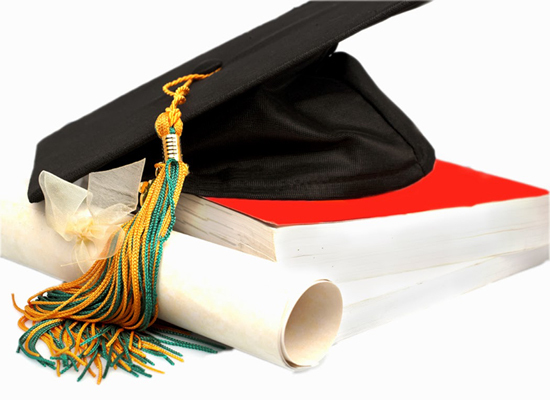 These students are well on their way to professional careers. 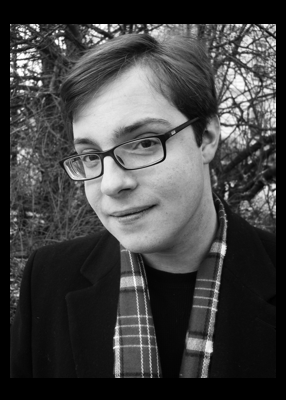 Jacob has sung featured roles in two productions with Syracuse Opera, as has Katherine Skafidas, who is singing the role of the Countess. Information about this production is available here, including the link to the live stream of the performances. 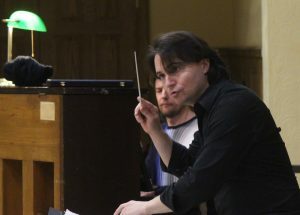 Maestro Christian Capocaccia leads Symphoria in the first Casual series concert of 2019, coming up this weekend. Christian spoke to host Adam Fine about the concert and so much more! More about Symphoria is available here. 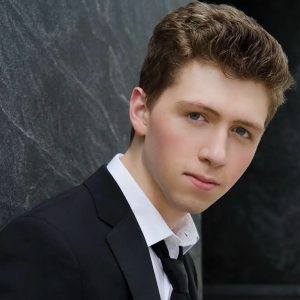 Vocalist Nick Ziobro once again joins Symphoria for their holiday pops concert, “Magic of the Holidays.” Nick stopped into the Classic FM studios to chat with Adam Fine about the concert, and coming home for the holidays. You can see what Nick is up to on his website, here. Find out more about Schola Cantorum of Syracuse here. 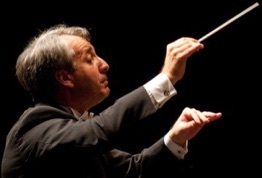 Maestro Christian Capocaccia and Symphoria have a very busy weekend coming up! They are joined by the Syracuse University Oratorio Society under director John Warren for four performances of the shortened “Christmas Messiah,” as well as a performance of the complete “Messiah” oratorio by Handel on Saturday night. Christian stopped into the WCNY studios to chat with mid-day host Diane Jones about the performances, and how a work like this helps to bring all of us together as a community, as well as his work with the Symphoria Youth Orchestras. 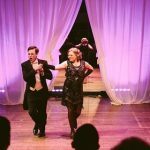 We covered everything form “Singin’ In The Rain” to sonnet form to calligraphy – and of course, the incredible music of Handel. 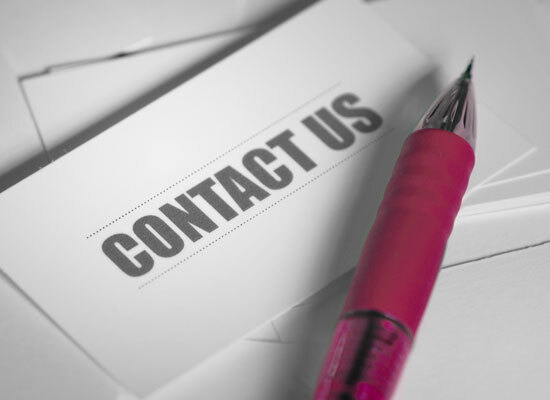 Find out more about Symphoria here. Maestro Grant Cooper will be guest conducting with the Cayuga Chamber Orchestra for their presentation of Handel’s Messiah next week. 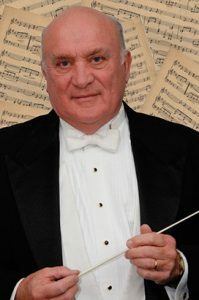 He is a familiar name in Central New York – he was the resident conductor with Syracuse Symphony Orchestra for 10 years. Maestro Cooper spoke to mid-day host Diane Jones about the upcoming concert, as well as how composing and mathematics influence his approach to conducting. You can visit the Cayuga Chamber Orchestrea website here. The Syracuse City Ballet is getting ready for its annual production of “The Nutcracker.” This year there are five performances, including a sensory-friendly performance on Sunday morning. Kathleen Rathbun, the Choreographer, Artistic Director, and Founder of Syracuse City Ballet, stopped into the Classic FM studios to chat with mid-day host Diane Jones about the production, as well as several events and discounts happening in conjunction with the production. Information about Syracuse City Ballet can be found here. 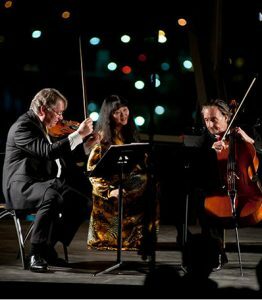 The Syracuse Friends of Chamber Music welcomes the Schumann Quartet to Syracuse for their next concert. 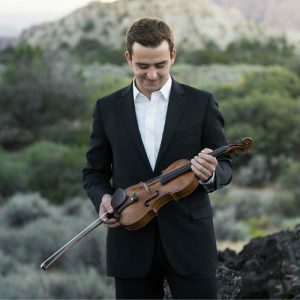 Violinist Ken Schumann spoke to mid-day host Diane Jones about the program, as well as their time in residence at Lincoln Center and how music speaks to their hearts. More information about the Syracuse Friends of Chamber Music is available here. 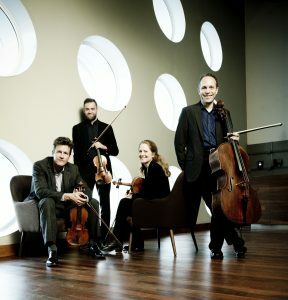 And here is the Schumann Quartet’s website. 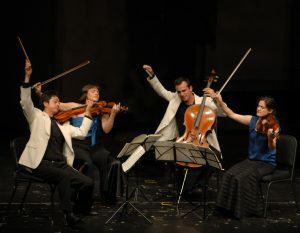 The Chamber Music Society of Utica presents the Jasper String Quartet in concert this weekend. Violist and founding member Sam Quintal spoke to mid-day host Diane Jones about the program, the stories behind the music, and the outreach efforts of the quartet in the Philadelphia public schools. Information about the Chamber Music Society of Utica is available here. Learn more about the Jasper Quartet at their website. 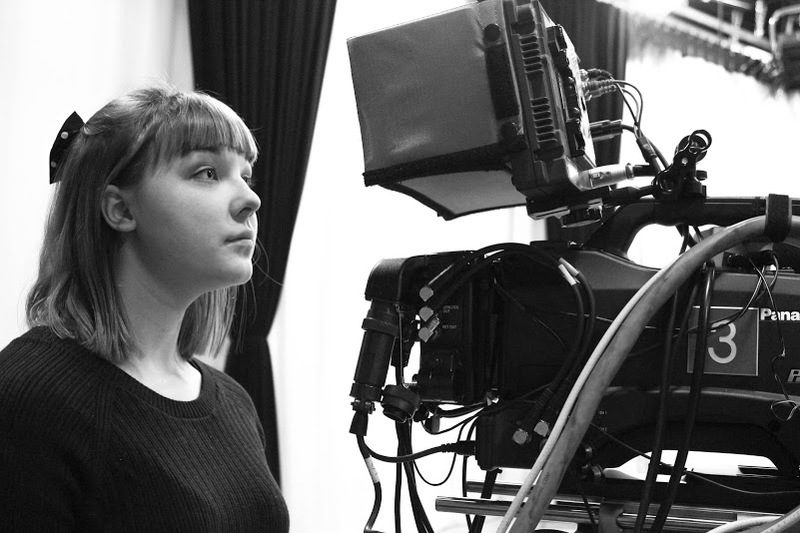 Holly Sagrestano is a high school senior who is making a difference in her community. 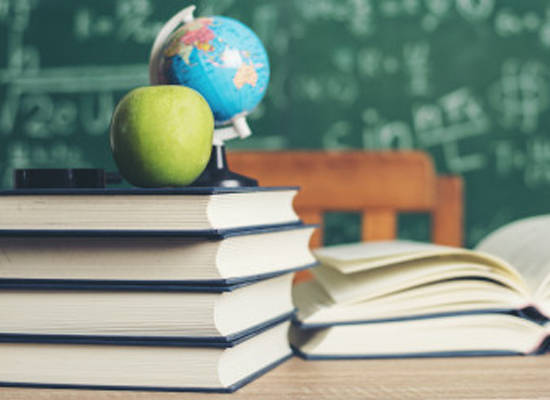 For her Girl Scout Gold Award Project, Holly has coordinated an instrument drive and instrument lending library with the New Hartford Public Library. She spoke to mid-day host Diane Jones about her project, and the impact she hopes to have in the future. 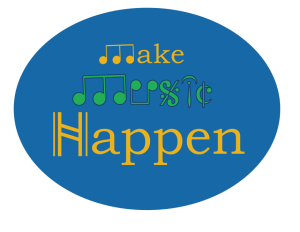 You can learn more about Make Music Happen here. 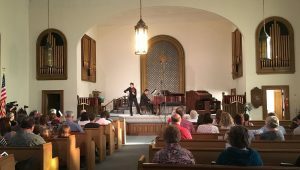 Ida Trebicka and Will Knuth are teaming up for the next performance in the St. Peter’s Concert Series in Cazenovia. They came to the WCNY studios to chat with mid-day host Diane Jones about the program, their long collaborative history, and to share some of their music with us. Information about the concert series at St. Peter’s Episcopal Church is available here. 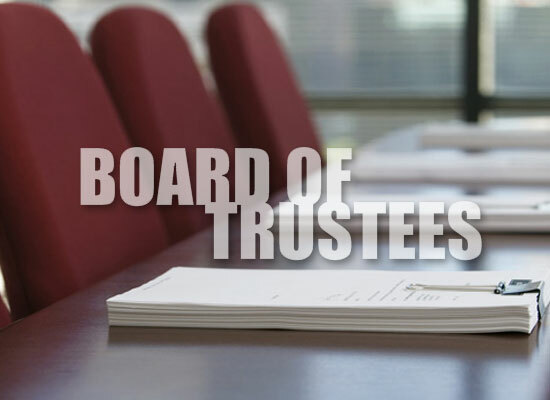 You can learn more about Ida Trebicka here, and about Will Knuth here. 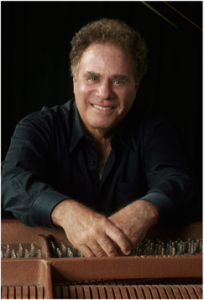 Pianist Jeffrey Siegel returns to Utica for his next Keyboard Conversation. Jeffrey spoke to mid-day host Diane Jones about “Joyous Beethoven,” the identity of Beethoven’s “Immortal Beloved,” his patron, Archduke Rudolph, and how his deafness affected his music. Information and tickets available from the Munson Williams Proctor Arts Institute here. More about Jeffrey Siegel and Keyboard Conversations is available here. Grammy-winning guitarist Jason Vieaux is coming to Skaneateles for a concert featuring music from J.S. Bach to Pat Metheny. Jason took some time to talk to mid-day host Diane Jones about the concert, as well as what it takes for a successful collaboration, his Tiny Desk concert with NPR, and the new and innovative way he is teaching. Find out more about Jason Vieaux here. Information about the Guitar Concert Series co-sponsored by the Skaneateles Library and the Great Lakes Guitar Society available here. Violinist William Hagen stopped into the Classic FM studios to chat with host Adam Fine about his appearance this week with Symphoria. They spoke about the Prokofiev violin concerto, as well as the marvelous violin he plays. Information about Symphoria can be found here. The Cayuga Chamber Orchestra is presenting their first Family Concert of the season. 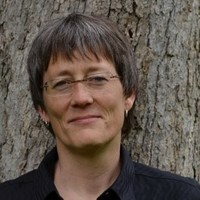 Music Director Cornelia Orth spoke to host Adam Fine about the concert at the Tompkins County Public Library, and how the group is connecting the music to a story. The Ying Quartet is making its first appearance at the Cooperstown Summer Music Festival as they close out the 2018 season. Cellist David Ying spoke to mid-day host Diane Jones about the concert, teaching and working at the Eastman School of Music, and the excitement of the Grammy experience. Information about the Cooperstown Summer Music Festival available here. 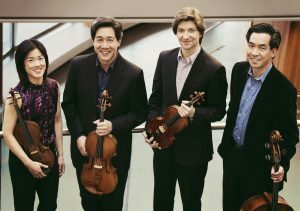 Learn more about the Ying Quartet at their website. Park Central Presbyterian Church is celebrating the 50th years of their M.P. Moeller Organ with a concert from renowned organist Dr. Isabelle Demers. 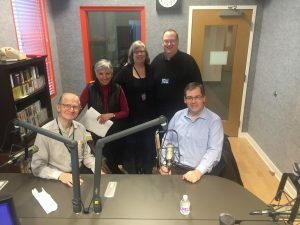 Dr. Demers and Robert Allen, the music director from Park Central, stopped into the Classic FM studios to chat with mid-day host Diane Jones about the concert, and the unique skills it takes to play an unfamiliar organ at every new venue. More about the recital at Park Central can be found here. 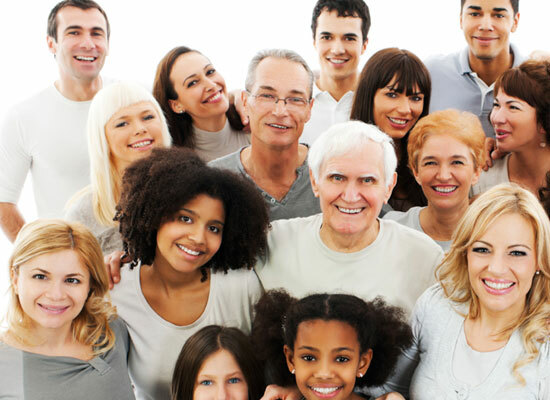 Learn about Dr. Demers at her website, here. The Cayuga Chamber Orchestra is going to the movies! Executive Director Susan Spafford spoke to mid-day host Diane Jones about this upcoming concert, including the exciting activities surrounding it – juggling, a karate demonstration, even a costume parade! More information and tickets available on the Cayuga Chamber Orchestra website. 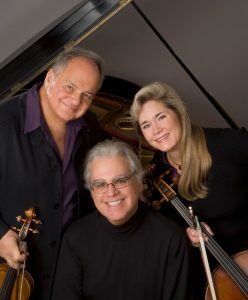 The Gryphon Trio has been performing together for 25 years, and the Chamber Music Society of Utica is welcoming them to their concert series this weekend. James Parker, pianist with the trio, spoke to mid-day host Diane Jones about the upcoming concert, as well as some of the ways the Gryphon Trio works to bring the audience closer to the music, and their educational outreach efforts. Find out more about the Chamber Music Society of Utica here. The Gryphon Trio’s website can be seen here. The Syracuse Vocal Ensemble is presenting a concert “Celebrating Scotland” with guest conductor Carl Johengen. 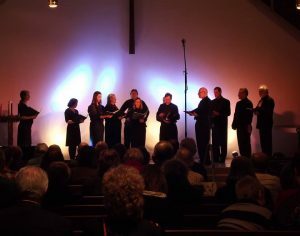 Carl spoke to mid-day host Diane Jones about the concert, his interest in the music of Scotland, and the joys of collaborating with chamber vocal ensembles. More information is available on the Syracuse Vocal Ensemble webpage here. Oswego Opera Theater opens its 40th anniversary season with Johann Strauss II’s “Die Fledermaus.” Director Benjamin Spierman and Artistic Director Juan LaManna stopped into the Classic FM studios to chat with mid-day host Diane Jones about the production, the pros and cons of an opera sung in translation, the casting process, and what brings them together for their sixth production. Learn more about Oswego Opera Theater on their Facebook page, here. The Cayuga Chamber Orchestra of Ithaca is preparing for the first of four concerts in their Chamber Music Series. 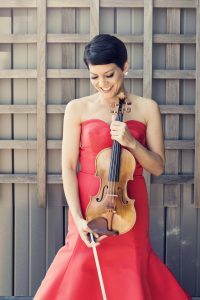 Violinist Kirsten Marshall (who will be performing Sunday) and violinist/Managing Director Susan Spafford spoke to morning host Bruce Paulsen about the music, how programs are chosen, playing together in small ensembles, and shared their thoughts on the audience/performer partnership in live concerts. More information about the Cayuga Chamber Orchestra can be found here. 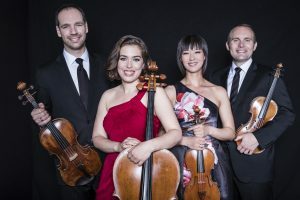 The Emerson String Quartet is coming to Syracuse to open the 2018-19 season with the Syracuse Friends of Chamber Music. Philip Setzer, violinist and co-founder of the Emerson String Quartet, spoke to mid-day host Diane Jones about the concert, the music, and the importance of live performances. 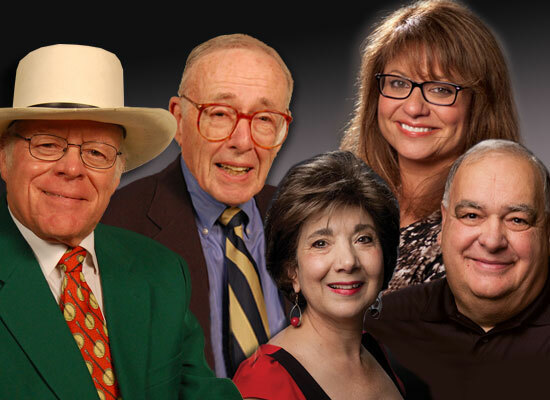 Information about the Syracuse Friends of Chamber Music available here. The Emerson String Quartet Website can be viewed here. The Cayuga Chamber Orchestra opens its 2018-19 season on a special night, with a concert featuring guest artist Miri Yampolsky. Music Director Cornelia Orth took a break during rehearsals to chat with mid-day host Diane Jones about the concert, their guest artist, and the upcoming season. She also took the opportunity to explain what makes a “chamber” orchestra. Information about the Cayuga Chamber Orchestra is available here. 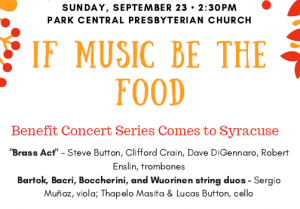 Cellist and Syracuse native Lucas Button has organized a benefit concert as part of “If Music Be the Food.” Everyone involved in the program – musicians, host venue, printers – has volunteered their time to present an afternoon concert of marvelous music, and to support the Food Bank of Central New York. Lucas spoke to mid-day host Diane Jones about the concert, the philosophy behind the series, and his ties to the area. More information about If Music Be the Food is available at their website here. Percussionist Lisa Pegher will be playing Richard Danielpour’s “The Wounded Healer” this weekend with Symphoria. She stopped into the Classic FM studios to chat with mid-day host Diane Jones about this work that was written for her, and shared some of her music and insights about life as a professional multi-percussionist. Learn more about Lisa at her website, here. The St. Lawrence String Quartet will be in concert this week, part of the Hamilton College Performing Arts Series. Cellist (and Utica native!) 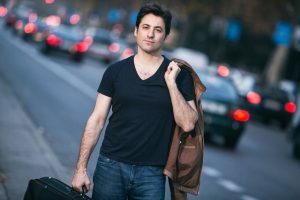 Christopher Costanza spoke to mid-day host Diane Jones about the concert, collaborating with composers and orchestras, and a bit about life on the road. 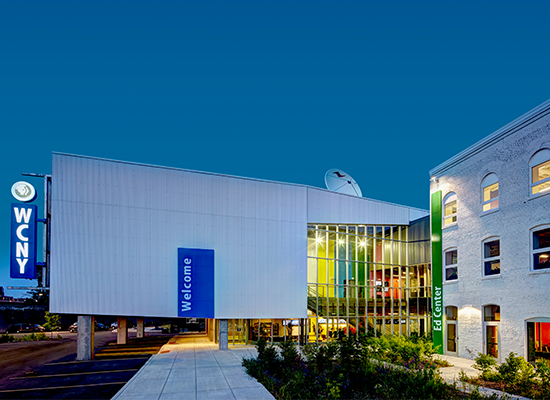 Information about the Hamilton College Performing Arts Series can be found here. 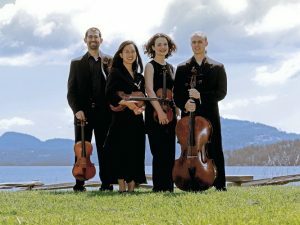 Learn more about the St. Lawrence String Quartet here. 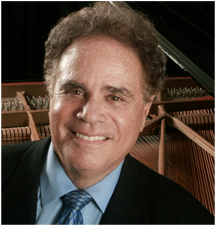 Pianist Jeffrey Siegel returns to Utica for a new season of Keyboard Conversations. This weekend, Jeffrey brings insight and music to the stage as he presents works by Debussy and Rachmaninoff. He spoke to mid-day host Diane Jones about the program, and the different styles of these two contemporaries. More information about Keyboard Conversations is available here. Event information at the MWPAI website here. The Skaneateles Festival presents two concerts with the Jupiter String Quartet this week, and cellist Daniel McDonough took time from a busy rehearsal schedule to chat with mid-day host Diane Jones about the concerts, and their collaborations with pianist Andrew Wunsch and composer and steel pan virtuoso, Andy Akiho, and the variety of music in store. Find out more about the Skaneateles Festival here. Learn about the Jupiter String Quartet here. 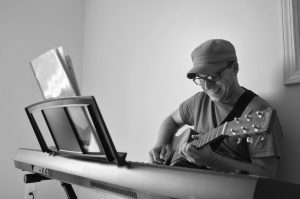 Composer Andy Akiho’s website can be found here. 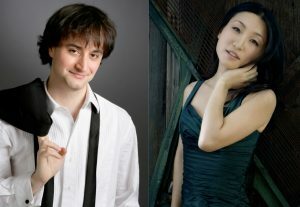 The Cooperstown Summer Music Festival continues as pianists Ran Dank and Soyeon Kate Lee come to the Otesaga Resort Hotel. This husband-wife team spoke to mid-day host Diane Jones about the concert, and gave us some insight into the choreography involved in playing piano four-hands. Find out more about the Cooperstown Summer Music Festival here. The Skaneateles Festival begins August 7th, bringing a wide variety of musical performances to Central New York. Co-Artistic Directors of the festival, cellist Julia Bruskin and pianist Aaron Wunsch, came to the Classic FM studios to chat with mid-day host Diane Jones about the festival, Skanfest U, and the amazing artists performing this year. And they delighted us with live music! More about the Skaneateles Festival can be found here. 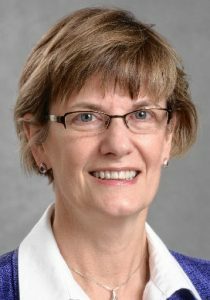 Dr. Kristina Boerger comes to Syracuse every summer for a 4-day singers workshop, organized by Schola Cantorum of Syracuse. 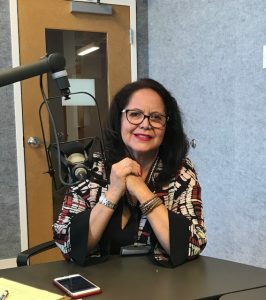 She took some time out of her packed schedule to drop by the WCNY Studios and chat with mid-day host Diane Jones about the workshop, the concert presented by the participants, and about what it takes to be the founder of an ensemble. The Schola Cantorum of Syracuse website is available here. And you can learn more about Dr. Kristina Boerger here. 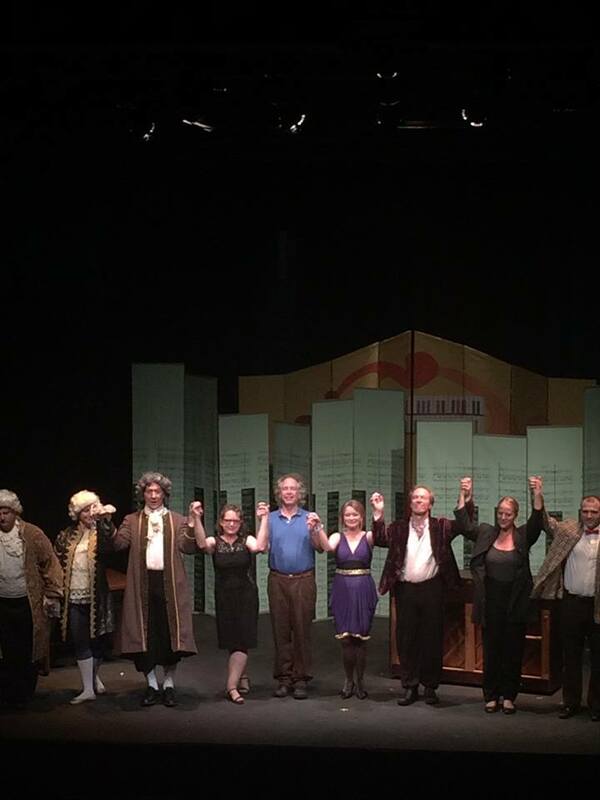 Director Benjamin Spierman’s vision of Rossini’s “The Barber of Seville” is coming to the Geneva Light Opera company this weekend. 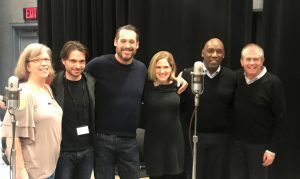 Ben and music director James Blachly stopped into the WCNY studios to talk to mid-day host Diane Jones about the production – the talented cast, the timeless score, and a few fun, new twists to the staging. 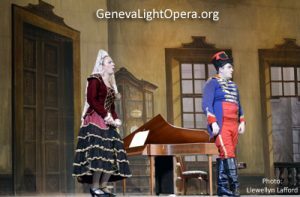 Information about the Geneva Light Opera is available here. More on Ben Spierman here, and James Blachly here. 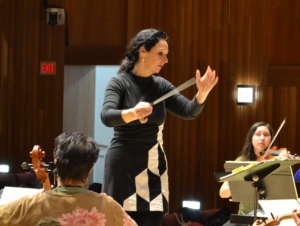 Grammy-winning artist Joanne Shenandoah is joining Symphoria for two performances this weekend, as the orchestra kicks off a year-long celebration of Women’s Suffrage in America. Joanne and her husband, historian Doug George, stopped by the Classic FM studios to chat with mid-day host Diane Jones about this performance of “SkyWoman,” as well as the role of women and the influence of the nations on our culture. Joanne Shenandoah’s website can be viewed here. 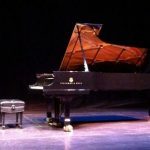 The Cazenovia Counterpoint Festival of the Expressive Arts is in its 20th season in the historic village of Cazenovia. In addition to the artwork displayed around the village throughout the month of July, there are concerts, storytelling, and more! Pianist Sar-Shalom Strong and composer Kevin Ernste stopped into the Classic FM studios to chat with mid-day host Diane Jones about some of the incredible music you can hear, including Kevin’s new commissioned work, Chorales, written in honor of the late Steven Stucky. The Festival schedule is available on the Society for New Music website here. 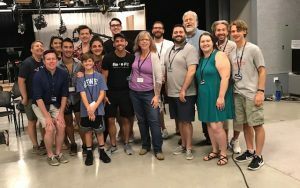 The cast of Pippin, along with Stage Director Garrett Heater and Musical Director Dan Williams, came to the WCNY studios to talk about the production, performing several selections from the show. Featuring solos from Liam Collins (Pippin), Josh Kimball (Leading Player), and WCNY’s morning host, Bruce Paulsen (Charles). Information about Syracuse Summer Theatre available here. 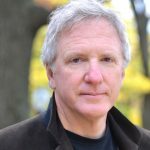 Composer Hugh McElyea’s musical drama “Tenebrae: The Passion of Dietrich Bonhoeffer” will be presented at Ithaca College this weekend. Hugh dropped into the Classic FM studios to chat with mid-day host Diane Jones about the production, and the inspirational life of Dietrich Bonhoeffer. Find out about “Tenebrae” here. 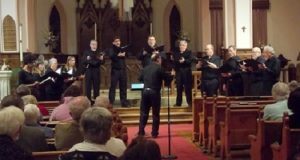 Learn more about Schola Cantorum of Syracuse at their website, here. Starting as a weekend music festival in 2011, the Geneva Music Festival now spans 18 days, and brings in a wide variety of music and artists. 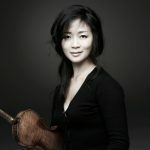 Mid-day host Diane Jones spoke to Festival Founder and Director, violinist Geoffrey Herd, along with several artists who will be performing this year: violinist Jinjoo Cho, violist Eric Wong, and cellist Max Geisler. They talked about the festival, and some of the amazing they’ll be performing this year. Information about the Geneva Music Festival can be found here. 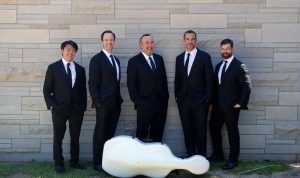 The Miro Quartet and pianist Jon Kimura Parker are coming to Syracuse to close out the season for the Syracuse Friends of Chamber Music. 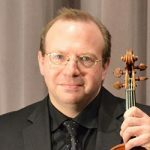 John Largess, violist with the Miro Quartet, spoke to mid-day host Diane Jones about the program, “Love Triangle,” and the relationships between Clara and Robert Schumann and Johannes Brahms. 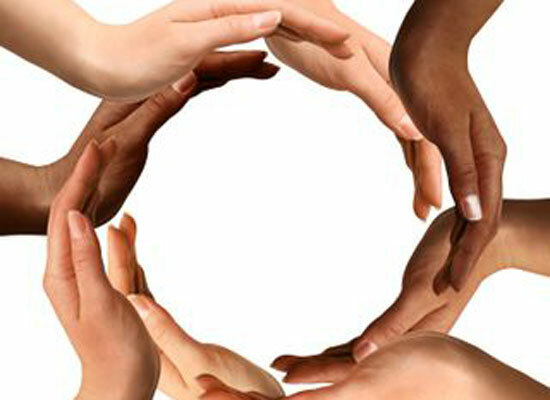 More about the Syracuse Friends of Chamber Music can be found here. More about the Miro Quartet, and their Archive Project, can be found here. And Jon Kimura Parker’s website is here. 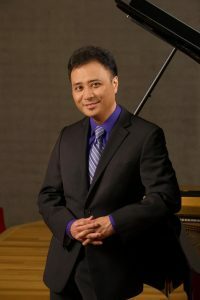 Pianist Jon Nakamatsu returns to the stage on Friday night, joining Symphoria for the final Masterworks concert of this season. He joined mid-day host Diane Jones live to talk about Beethoven’s emperor concerto, his career as a soloist, and the rewards of his latest role on the faculty at the San Francisco Conservatory of Music. 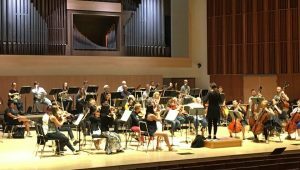 More about Symphoria, including their 2018-19 schedule, can be found here. And learn more about Jon Nakamatsu on his website. Jeffrey Siegel returns to the Munson Williams Proctor Arts Institute in Utica for the last concert this season, honoring the 100th anniversary of the birth of Leonard Bernstein. Jeffrey spoke to mid-day host Diane Jones about the program, including the story of the unpublished work by Bernstein that he will be playing. Learn more about Jeffrey Siegel and his Keyboard Conversations here. Information about the Munson Williams Proctor Arts Institute is available here. Information about the Cooperstown Summer Music Festival is available here. 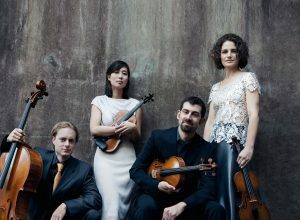 Learn more about the Argus Quartet here. 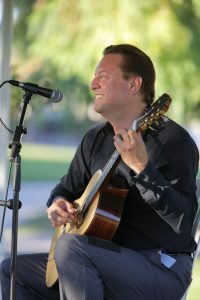 Guitarist Kenneth Meyer will be the soloist for this weekend’s performances with Symphoria. 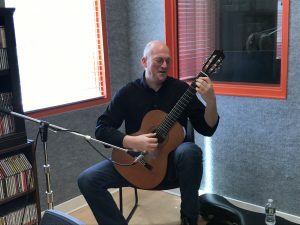 Ken stopped by the Classic FM studios to talk to mid-day host Diane Jones about Joaquin Rodrigo’s “Fantasia para un gentilhombre,” and shared a wonderful solo performance with us as well. Learn more about Ken Meyer here. Founded in 1942, the Baldwinsville Theatre Guild is the oldest continually-performing community theatre group in New York state. 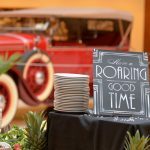 To tell us about their upcoming production of “Animal Crackers,” mid-day host Diane Jones welcomed director Dan Stevens (also playing Chico Marx), Doug Rougeux (Groucho Marx), and Jennifer Staples (Harpo Marx). Jennifer also brought along her harp, and filled the Classic FM studio with her wonderful performance. 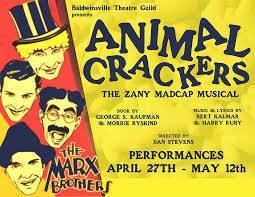 You can learn more about this production and the Baldwinsville Theatre Guild here. Liamna Pestana & Daniel Yost specialize in performing Medieval Spanish music on reproduction instruments, hand-crafted by Daniel. They stopped into the Classic FM Studios to chat with mid-day host Diane Jones about their upcoming concert with Schola Cantorum, and about researching the history of the music and instruments of the era. Learn about Schola Cantorum here. And see performances by Liamna & Daniel here. 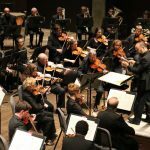 Symphoria is one of just two musician-led cooperative orchestras in the US. Catherine Underhill, managing director of Symphoria, visited the Classic FM studios to talk to mid-day host Diane Jones about the 2018-19 season. Concert series, venues, and three talented conductors were all among the topic of conversation! 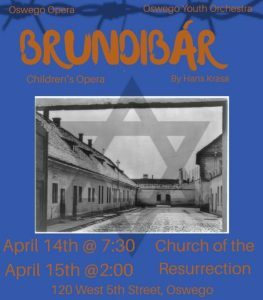 The Oswego Opera Theater is presenting the children’s opera “Brundibar” by Hans Krasa. 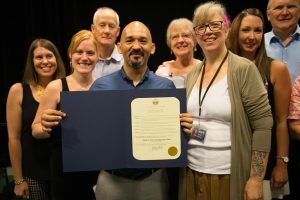 OOT Artistic Director Juan LaManna stopped by the WCNY studios to chat with mid-day host Diane Jones about the opera, it’s history, and it’s connection to Oswego. 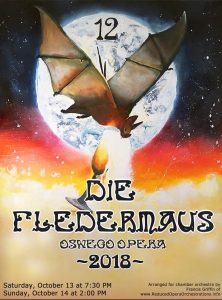 Find out more about the Oswego Opera Theater on their Facebook page here. 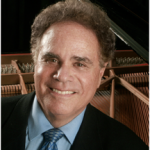 Pianist Jeffrey Siegel continues the 30th season of Keyboard Conversations at MWPAI this weekend, with “Bach & Chopin: A Musical Kinship.” Jeffrey joined mid-day host Diane Jones by phone to talk about this concert, and about the connection they shared. 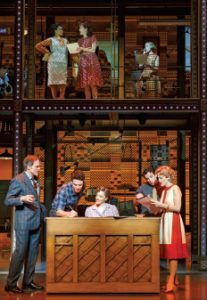 Learn more about Jeffrey Siegel’s Keyboard Conversations here. And about the Munson Williams Proctor Institute here. Learn more about the Cooperstown Summer Music Festival here. And about the American String Quartet here. Violinist Chee-Yun and soprano soloist Sari Gruber stopped by the WCNY Classic FM studios to chat with Adam Fine about their upcoming performance with Symphoria. They discussed Mendelssohn’s Violin Concerto and Mahler’s Symphony No. 4. We also heard some great stories about Chee-Yun’s amazing violin. More information about Symphoria can be found here. More information about Chee-Yun can be found here. And more information about Sari Gruber can be found here. 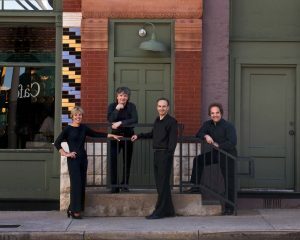 The Chiara String Quartet is finishing up its final season after 18 years of performing together. 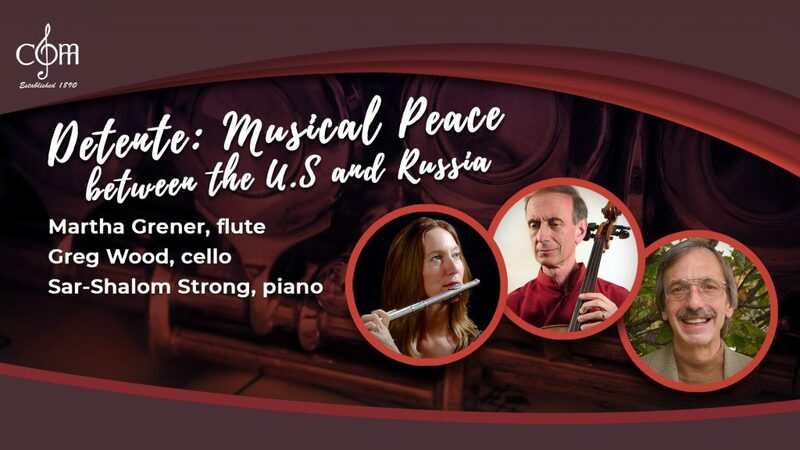 They’ll be hosted by the Syracuse Friends of Chamber Music this weekend, in a concert of music by Shostakovich, Jalbert, and Debussy. 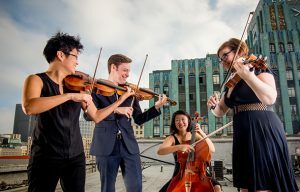 Violinist Hyeyung Yoon and cellist Gregory Beaver spoke to mid-day host Diane Jones by phone about this concert, and the quartet’s last few performances. More information about this Syracuse Friends of Chamber Music Concert can be found here. And more about the Chiara String Quartet can be found here. The Cayuga Chamber Orchestra is preparing to welcome guest artist Edgar Meyer, double bass, this weekend. The concert includes not one, but two double bass concerti. Music director Cornelia Orth spoke to mid-day host Diane Jones about the concert, as well as letting us in on how the season is programmed. More information about the Syracuse City Ballet can be found here. Natasha Paremski is coming to Syracuse this weekend! This amazing pianist is the guest artist on the next Symphoria Masterworks Concert, an all-Russian concert featuring Paremski for the Prokofiev Piano Concerto No. 2, Op. 16. She spoke with mid-day host Diane Jones about this concerto, as well as working with composers, and performing in non-traditional settings. More about Natasha Paremski here. Founder of the Emerson String Quartet. Founders of Music@Menlo. Nine Grammy Awards. These are just a few of the accomplishments of the members of the Finckel-Han-Setzer Trio. Violinist Philip Setzer spoke to mid-day host Diane Jones about the trio’s upcoming concert at Hamilton College, as well as the amazing chamber works on that concert. Information about the concert on the Hamilton College website here. More about David Finckel and Wu Han on their website here. 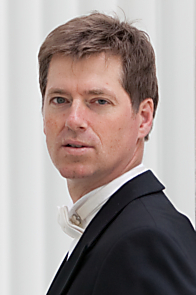 More about Philip Setzer on the Emerson String Quartet website here. The Syracuse Friends of Chamber Music present their annual Mid-Winter Concert this Saturday, featuring Central New York Musicians in a concert of Chamber Concertos. 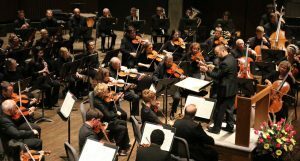 John Oberbrunner and Barbara Haas from SFCM came to the Classic FM studios to chat with mid-day host Diane Jones about the concert, as well as what to expect for the rest of the season. Information about the Syracuse Friends of Chamber Music is available here. Maestro Christian Capocaccia is the Music Director for the next Syracuse Opera production, Verdi’s “La Traviata.” He stopped into the Classic FM studios to chat with mid-day host Diane Jones about the production, and about the changing role of the arts in today’s society. And about Maestro Capocaccia here. 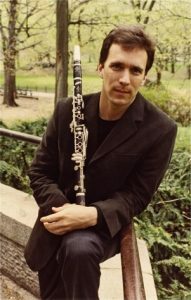 Clarinetist David Shifrin is one of only two wind players to have been awarded the Avery Fisher Prize. 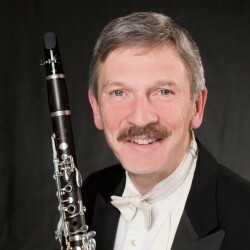 He will be giving a masterclass as well as performing with Symphoria this weekend, and he stopped into the studios at WCNY to chat with mid-day host Diane Jones about the basset clarinet, his masterclass, and the history of Mozart’s Clarinet Concerto. More about the concert with Symphoria here. And learn about David at his website, here. 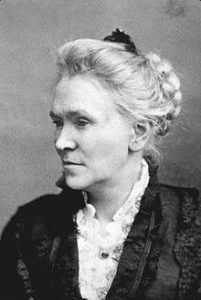 Matilda Joslyn Gage, perhaps one of the most ardent yet least known leaders of the women’s suffrage movement, is the subject of a new opera premiering this weekend in Syracuse. Mid-day host Diane Jones had the chance to speak to Persis Parshall Vehar, the composer of this new opera, about Gage, her place in history, and the challenges of bringing such a vibrant character to the stage. For more about this performance, visit the Society for New Music webpage. The Clinton Symphony Orchestra of the Mohawk Valley is gearing up for its first concert in 2018. 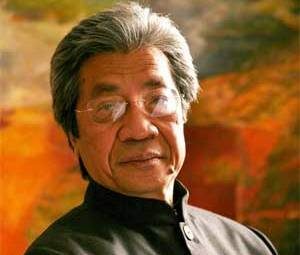 Maestro Charles Schneider stopped into the Classic FM studios to chat with mid-day host Diane Jones about the concert, including the return of guest artist, pianist David Kim. Learn more at the Clinton Symphony Orchestra of the Mohawk Valley here. 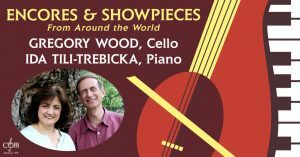 Cellist Gregory Wood and pianist Ida Tili-Trebicka are preparing for their January 21st concert, “Encores and Showpieces From Around the World.” They stopped into the Classic FM studios to chat with mid-day host Diane Jones, and give some insight into the program. They also shared a bit of music they will be performing, to whet your appetite for the concert! It’s all part of CMM In Recital Live! Learn more at Civic Morning Musicals here. 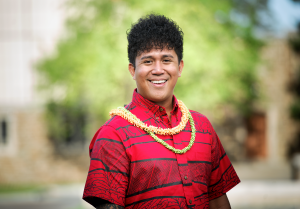 Dr. Jace Saplan has relocated to Central New York from his native Hawaii, and will be the guest conductor for two performances by the Syracuse Vocal Ensemble this weekend. The concerts are titled, “Winter’s Compass: Music from All Directions,” and is a marvelous mix of works from around the world – some familiar favorites, and some that are brand new. Jace, along with Norma Tippett from the Syracuse Vocal Ensemble, stopped into the Classic FM studios to talk to mid-day host Diane Jones about the concerts. Learn more at the Syracuse Vocal Ensemble here. The Syracuse City Ballet’s presents “The Nutcracker” this weekend, and Artistic Director Kathleen Rathbun stopped into the studio to chat with mid-day host Diane Jones about this year’s production. There are some exciting updates to the sets and choreography, and they have added a special sensory-friendly performance to ensure the whole family can experience this classic holiday ballet. Learn more at the Syracuse City Ballet website here. The Cayuga Chamber Orchestra is embarking on its 41st season. Conductor and music director Cornelia Laemmli Orth joined mid-day host Diane Jones by phone to talk about the upcoming concert and the rest of the season. You’ll also learn about what brought this Swiss conductor to the US. You can visit the Cayuga Chamber Orchestra website here. 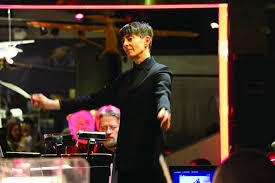 Victoria Bond is the first woman to have received a doctorate in conducting from Juilliard. She is also the composer of the opera, “Mrs. 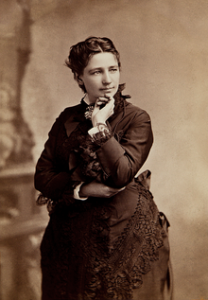 President, The Opera,” telling the story of Victoria Woodhull, the first woman to run for President of the United States. 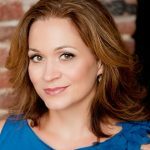 She joined mid-day host Diane Jones to talk about Woodhull, as well as telling us a bit about how the opera came to be and the challenges of telling a life story on stage. Information about this weekend’s performance of “Mrs. President, The Opera” can be found at the Lyric Theatre website here. Learn more about the opera here, and about Victoria Bond here. 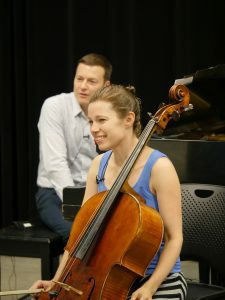 Pianist Elena Victoria Nezhdanova and cellist Roman Placzek are coming to Syracuse to perform with CMM in Recital Live. 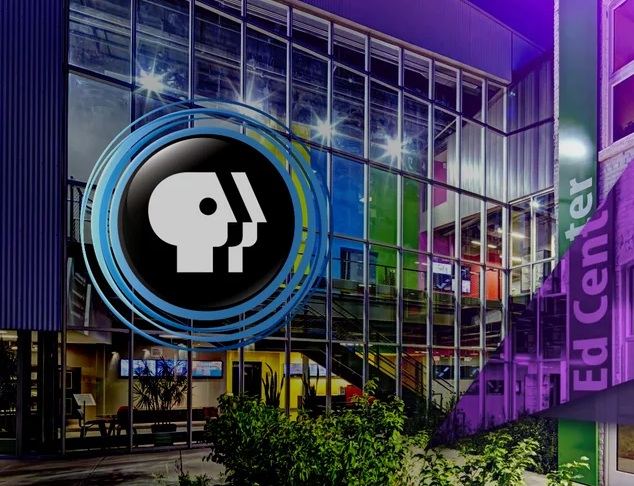 Mid-day host Diane Jones had a chance to chat with them about their program, “Hidden Images,” as well as their roles with the North Carolina Bach Festival. 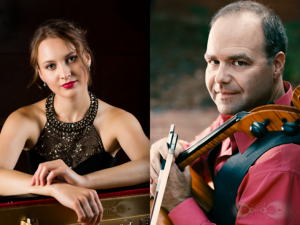 Learn more about CMM in Recital Live here, and the Nezhdanova-Placzek Duo here. Opening Night at the Oswego Opera Theater is just a few days away! 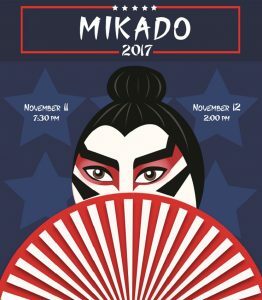 As they put the finishing touches on this production of “The Mikado,” stage director Benjamin Spierman and artistic director Juan LaManna took some time from rehearsals to chat with mid-day host Diane Jones. We talked about the relevance of this opera in relation to today’s headlines, and learned a bit about the history of the company. You can learn more about the Oswego Opera Theater on their Facebook page here. The Chiara String Quartet will be closing the season at the Cooperstown Summer Music Festival this weekend, and mid-day host Diane Jones had the chance to chat with cellist Gregory Beaver about that concert. 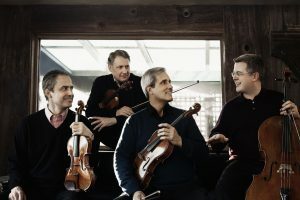 The quartet is remarkable as it performs “by heart.” Gregory talked about the benefits – and challenges – of memorizing their programs, as well as giving insight into how they choose their programs. 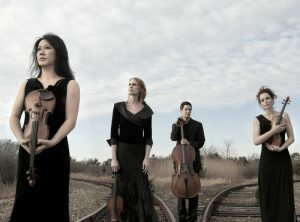 The Chiara String Quartet has announced that this year will be their final performance season as an ensemble. You can learn more about the Chiara String Quartet here. The Takacs Quartet will be opening the Syracuse Friends of Chamber Music 2017-18 season. Mid-day host Diane Jones spoke to cellist and founder Andras Fejer about the concert, and the origins of the quartet. You can learn more about the Takacs Quartet here. Cellist Christopher Costanza will be coming home to Utica for a concert with the Chamber Music Society of Utica. 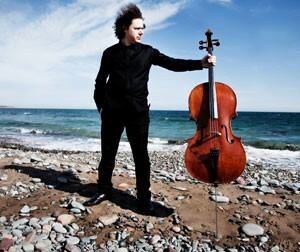 Chris will be performing all six of the Bach Solo Cello Suites in a two-part performance. He spoke to mid-day host Diane Jones from his home in California, talking about his preparations and about his first introduction to the suites at the age of just 11. To learn more about Chris and his recording of the cello suites, visit his website. For information about the Chamber Music Society of Utica, including this concert and their complete season, visit their website here. Violinist Anne Akiko Meyers stopped by the WCNY studios to chat with mid-day host Diane Jones about her upcoming performance with Symphoria. She talked about “Archeopteryx,” the violin concerto she commissioned from composer Mason Bates, as well as finding the emotion in new works. To learn more about Anne and her performances, view her website here. 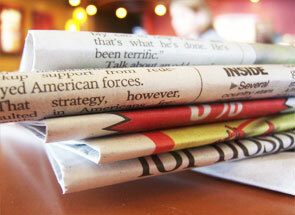 Information about the Society for New Music can be found here. Maureen Campanie of Madison County began “Concert for a Cause” in 2017 as a way to share music and a sense of community, while benefiting local organizations. This weekend, Symphoria principal clarinetist Allan Kolsky joins the Jefferson String Quartet (made up of members of Symphoria as well) for a concert to benefit the Center for New Americans. Allan and Olive Sephuma, director of the Center for New Americans at Interfaith Works, stopped into the Classic FM studios to talk about the concert, the good things the Center is doing in the area, and to share just a bit of the music to be performed on Sunday. 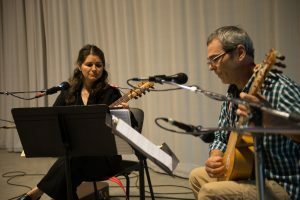 More information about Allan and the musicians of Symphoria can be found here, and the Center for New Americans here. Concert for a Cause is active on Facebook. Pianist Jeffrey Siegel opens his 30th season of Keyboard Conversations at the Munson Williams Proctor Arts Institute this weekend, with a program of “Music of the Night: The Mystic and the Macabre.” Jeffrey took some time out of his busy schedule to chat with mid-day host Diane Jones about the upcoming performance, and reflect back on the early days of Keyboard Conversations. 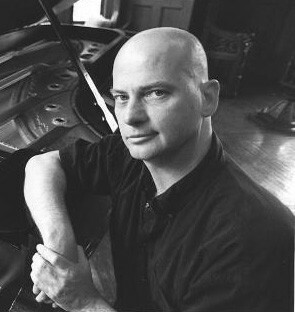 More about Jeffrey Siegel and Keyboard Conversations can be found at his website. Syracuse native Lucas Button has just completed his third summer as a Tanglewood Music Center Cello Fellow. Lucas stopped by the WCNY studios to chat with mid-day host Diane Jones and share his experiences at Tanglewood, as well as talk about his musical future. Lucas has joined Symphoria, and will be performing with them this upcoming season. Learn about Lucas here, and about the Tanglewood Music Center here. The Jewell Trio once again closes A Little Summer Music in Vienna, the concert series held in Vienna, NY every August. The members of the trio (Peter Rovit, violin; Gregory Wood, cello; and Sar-Shalom Strong, piano) and the festival organizer, Stephen Carpenter, joined mid-day host Diane Jones live in the WCNY studios to talk about the concert, and to give us a taste of what they’ll be playing. More information about the festival can be found on Facebook. Pianist Adam Rothenberg is a Syracuse native, and one of 100 Fellows at the Tanglewood Music Center this summer. 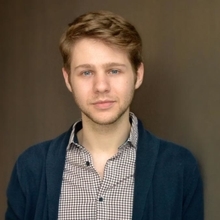 Mid-day host Diane Jones had the chance to catch up with Adam between rehearsals and chat about his time at Tanglewood, and the challenges and rewards of being a collaborative pianist. The Tanglewood Music Center Fellowship Program is the Boston Symphony Orchestra’s summer academy for advance musical study. 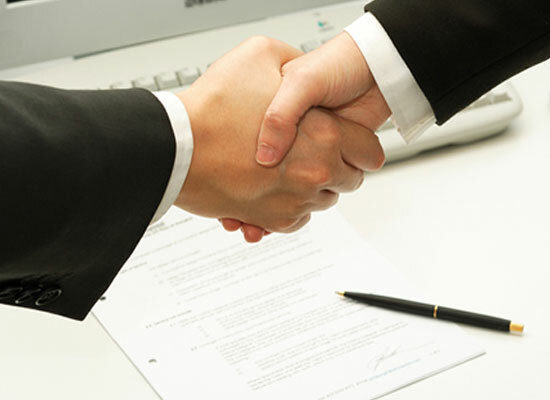 Find out about TMC here. Time for Three is getting ready to head to the Cooperstown Summer Music Festival for an exciting performance this weekend. Mid-day host Diane Jones had the chance to chat with the members of Tf3, Nick Kendall & Charles Yang, violins, and Ranaan Meyer, double bass. They talked about blurring the lines between musical genres, and the importance of encouraging excitement and creativity in music for youngsters. As for what they’ll be playing on Sunday? Hmmm…. For more information about the Cooperstown Summer Music Festival, visit the festival website. You can learn more about Time for Three at their website. Syracuse City Ballet’s founder and artistic director Kathleen Rathbun took time from her busy rehearsal schedule to chat with mid-day host Diane Jones about the upcoming performance, “Summer Heat.” Kathleen also brought us up-to-date on the performances happening this week at the Syracuse Shakespeare Festival, the upcoming season’s productions, and the exciting new rehearsal space for the company. You can find out more about Syracuse City Ballet at their website. The Daedalus Quartet very generously stopped into the WCNY studios in between their two performances at the Skaneateles Festival to share some conversation and music with us! Mid-day host Diane Jones spoke to them about collaborating with Windsync, and we also chatted about their sold-out performance of “Black Angels” last year in Philadelphia. 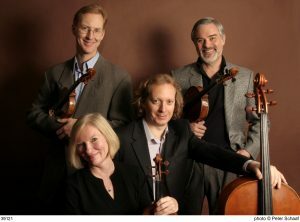 Learn more about the Skaneateles Festival on their website, and about the Daedalus Quartet here. 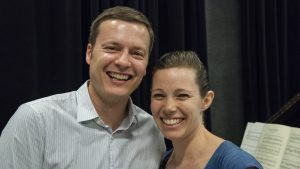 Aaron Wunsch and Julia Bruskin are incredible musicians, and they are also the Artistic Directors of the Skaneateles Festival, presenting “World Class Music by the Lake” in Central New York. They came to the WCNY studios to tell us about the varied and exciting music taking place in Skaneateles throughout the 4 weeks of the festival. They also gave us a sample of some of the works from their “Go Hear!” series, taking you on a musical tour around the world. Learn more about the Skaneateles Festival on their website. Linda Chesis, founder and artistic director of the Cooperstown Music Festival, is preparing for a busy August! The Festival is in full swing this month, beginning with three performances by the Jasper String Quartet just this weekend! Linda spoke to mid-day host Diane Jones to tell us about all the incredible musical events coming up in the next few weeks. We also talked about next year’s 20th anniversary season! Details on this season and more are the Cooperstown Music Festival website. Peruvian clarinetist Marco Antonio Mazzini has been in Central New York for the past two weeks giving performances and workshops across three counties. The Silverwood Clarinet Choir has been hosting and performing with Marco, and they came to our studios for their last performance together before he heads home to Peru. If you missed the performance live, here is your chance to catch it! 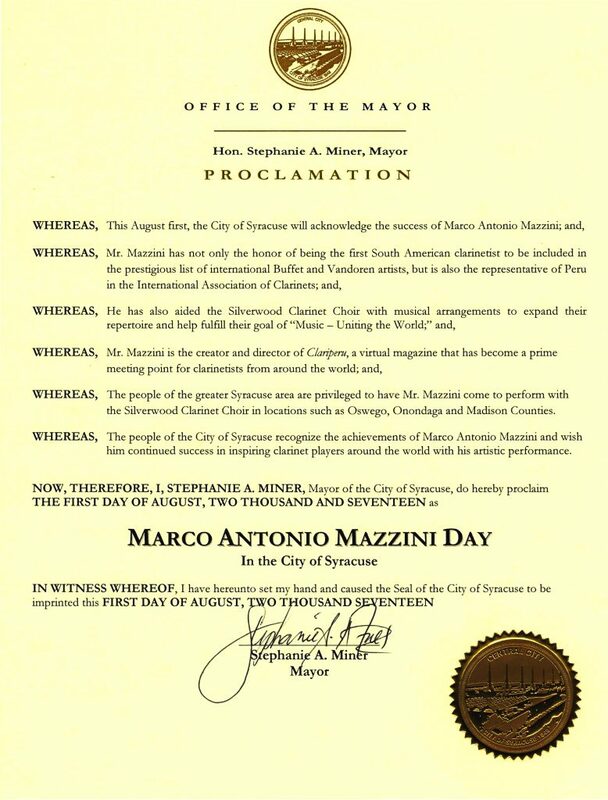 Learn more about the Silverwood Clarinet Choir here, and about Marco Antonio Mazzini here. 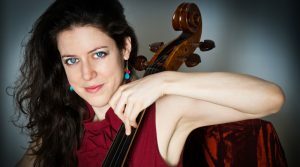 Cellist Elinor Frey is in Syracuse for just a week, performing as part of the Cazenovia Counterpoint Festival of Music and Arts. She stopped into the studio with mid-day host Diane Jones to talk about her latest CD, Complete Cello Sonatas of Angelo Maria Fiore, and about her love of both Baroque and contemporary classical music. 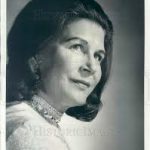 You can learn more about Elinor and her music on her website. 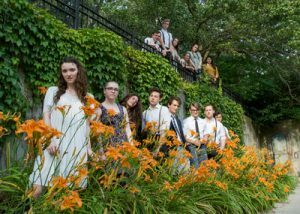 One of the keystones of the Cazenovia Counterpoint Festival of Music and Arts is their Rising Stars. These concerts pair talented local young musicians with emerging composers for a lunchtime performance opportunity, featuring new music and familiar favorites. Sar-Shalom Strong is the collaborative pianist for most of these performers. 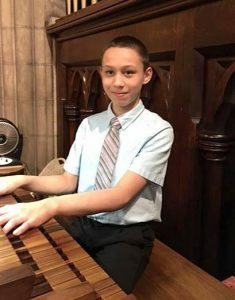 He was joined in the FM studios by Rising Star keyboardist Dominic Fiacco, who – at just 12 years old – has just been invited to perform at St. John the Divine in New York City. Take a listen to this interview with mid-day host Diane Jones. For complete details on all the events in and around the village during the July Cazenovia Counterpoint Festival of Music and Arts, visit the Society for New Music website here. The Albany Symphony is embarking on an exciting trip next week, as they cruise from Albany to Lockport on the Erie Canal. Music Director David Alan Miller spoke with mid-day host Diane Jones about the trip (which has been in the works for nearly 17 years), and the concerts they’ll be giving along the way. Seven stops in seven days, to celebrate the bicentennial of the Erie Canal. This is truly a once-in-a-lifetime event! Learn about the symphony and Water Music New York at the Albany Symphony website. Barry Torres joined mid-day host Diane Jones live via phone to talk about the next concert from Schola Cantorum of Syracuse, Salve Regina. He talked about the history of these settings of the Marian Antiphon, and their place in the liturgy. Also on tap is the Summer Workshop for Singers hosted by the ensemble every year, and Barry gave us an idea of what his “dream concert” would be. More information on Schola Cantorum can be found here. 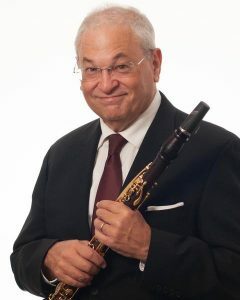 Allan Kolsky, principal clarinet with Symphoria, stopped into the Classic FM studios to talk about his concert titled “Music of Love and Loss.” The concert honors loved ones who have passed on, and each piece has a deep meeting for Kolsky. Also in the studio, composer Marc Satterwhite, who composed two of the works Kolsky will perform. They shared some of their music with mid-day host Diane Jones, and talked about about other performances that have moved them. Details about the concert at Temple Concord are available here. Also performing on the next concert are Duo Canfield, and Lauren Becker, horn. You can learn more about LaVeck Concerts on their website. 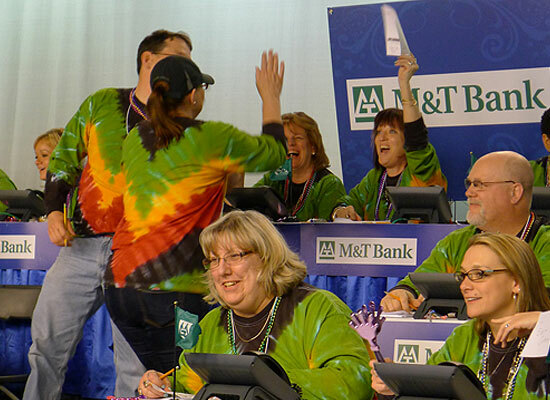 Flutist and musical director Barbara Bridgers of the Central New York Flute Choir joined mid-day host Diane Jones to chat about the group’s upcoming Annual Spring Concert. We talked about the program (including a world premiere for Contrabass Flute and Flute Choir), and the joys of playing in an ensemble like this. 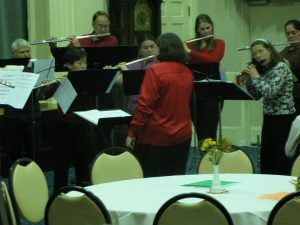 You can learn more about the Central New York Flute Choir on their Facebook page and their website. 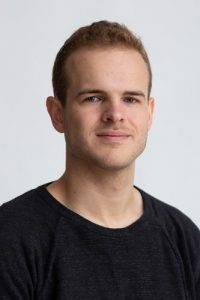 The Geneva Music Festival begins its seventh season on June 1st, and festival founder and artistic director Geoffrey Herd joined mid-day host Diane Jones to talk about what’s in store. Also joining the conversation were GMF musicians Eliot Heaton, violin; Eric Wong, viola; and Max Geissler, cello. They are in town early for several outreach programs in conjunction with the festival. 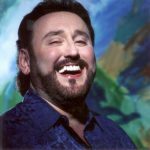 Take a listen, and you’ll even find out about the time Eric performed with former Secretary of State, Condoleezza Rice! Many thanks to Greg Cotterill at WEOS for hosting the GMF guests at their station, and setting up our remote feed. You can find out more about the Geneva Music Festival at their website. Liamna Pestana and Daniel Yost joined mid-day host Diane Jones in the WCNY Studios, sharing music and conversation with the Classic FM listeners. 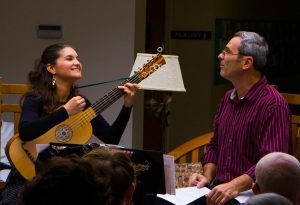 Playing a Spanish Baroque guitar and vihuela that Daniel made, they sang and played several Spanish Renaissance works. They will be the guest artists at the next Schola Cantorum concert, and Maria De Angelis from Schola Cantorum spoke to us about the ensemble and what is next for them. To learn more about Schola Cantorum, visit their website here. You may also learn more about Liamna and Daniel on their Facebook page, here. The Syracuse Gay and Lesbian Chorus is presenting a concert of “Women In Song” this weekend, and member Earl Taylor stopped by the Classic FM studios to talk to mid-day host Diane Jones about the concert, and about the chorus. Learn more on the chorus website here. 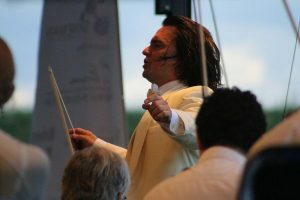 Learn more about Philippe Quint here, and the Symphoria concert here. The Cooperstown Summer Music Festival opens with it’s Spring Concert this weekend. Founder and Artistic Director Linda Chesis joined mid-day host Diane Jones to talk about the upcoming concert, as well as the summer season of music at the festival. 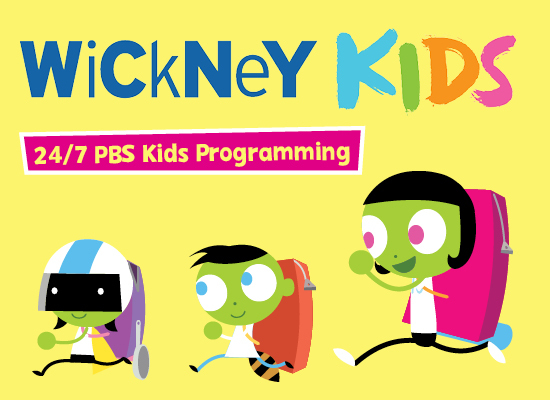 It’s an exciting season ahead, and you can learn all about it right here! 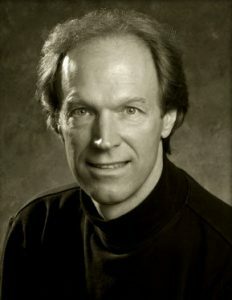 For more information about the Cooperstown Summer Music Festival, visit www.CooperstownMusicFest.org. As sometimes happens with remote interviews, the technology gremlins pounced, and Daniel was, unfortunately, disconnected. But not before providing some wonderful insight into this concert, collaborating with guest pianist Anton Nel, and the balance of music both new and familiar. We welcomed pianist Jon Kimura Parker to the WCNY studios, to talk about his concerts with Symphoria this weekend. 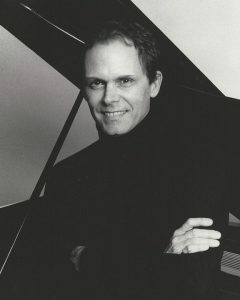 Jon talked with mid-day host Diane Jones about the Grieg Piano Concerto, and about his experiences performing in war-torn Sarajevo in 1995. Be sure to listen to this marvelous interview. 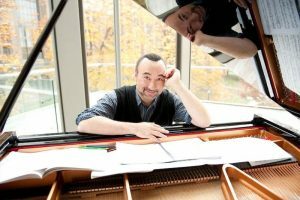 Jeffrey Siegel returns to Utica this weekend for another Keyboard Conversations. He spoke with mid-day host Diane Jones about “Keys to the Classics,” and the marvelous relationships between Haydn, Mozart, and Beethoven. 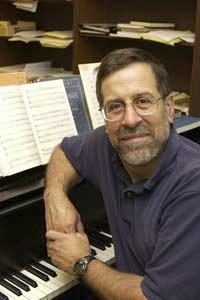 For more information on Jeffrey Siegel, visit www.KeyboardConversations.com. 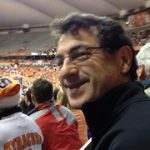 Albert Nocciolino is not only president and CEO of Famous Artists Broadway in Syracuse, he is also a Tony Award-winning producer! He stopped into the Classic FM studios to talk to mid-day host Diane Jones about the next shows coming to town, and why these touring shows are a great economic benefit to Syracuse. Beautiful and Motown are coming to the Landmark Theatre in Syracuse in April and May. For details and tickets, visit www.LandmarkTheatre.org, or www.NACEntertainment.com. Director Valerie Rachelle has returned to Syracuse for the third time, to direct the Syracuse Opera production of “Eugene Onegin.” She stopped into the studio to chat with mid-day host Diane Jones about this production, as well as her directing style. The Syracuse Opera presents “Eugene Onegin” this Friday and Sunday. 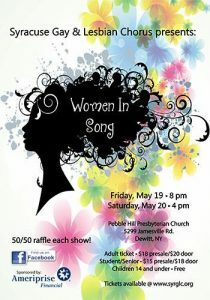 For details and tickets, visit www.SyracuseOpera.org. One of the most versatile and prolific composers of the Renaissance, Orlando di Lasso, is the focus of the next Schola Cantorum concert. 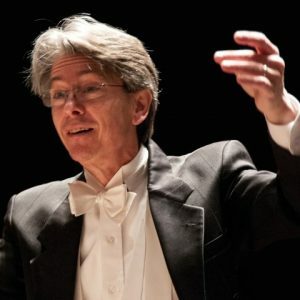 Founder and Music Director Barry Torres spoke to mid-day host Diane Jones about this concert, about Lassus, and gave us a peek into what is next for Schola. The Syracuse City Ballet celebrates its 20th season with a step back in time. 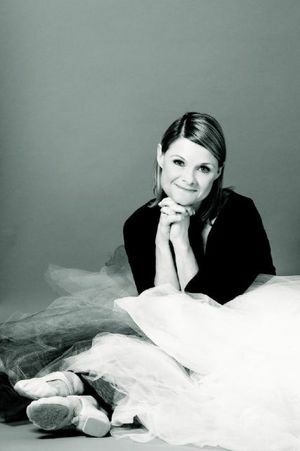 “Snow White” was the very first production of the SCB, and is an original ballet conceived and choreographed by founder and artistic director, Kathleen Rathbun. Two of the lead dancers in this production were in that original production, and mid-day host Diane Jones had a chance to chat with Kathleen about this production and how it has evolved over time. For tickets and information about this production, visit the Syracuse City Ballet website. The Chamber Music Society of Utica will be hosting the Minetti Quartet and guest artist Andreas Klein in concert on Sunday, February 26th. Mid-day host Diane Jones had the chance to speak to Andreas about the Robert Schumann Piano Quintet, as well as his time spent in the recording studio and on the road. For tickets and information about this and upcoming Chamber Music Society of Utica concerts, visit their website. With three opportunities to see this year’s Vision of Sound program, it was great to have composer Paul Leary stop into the WCNY studios to talk about his piece, collaborating with choreographer Rose Beauchamp, and what it takes to compose electronic versus acoustic music. It’s all part of this year’s collaboration with the Society for New Music and Syracuse Symposium. If you missed the live broadcast, be sure to take a listen! Vision of Sound: (Making) Place has three upcoming performances: Friday 2/17 at 7:30pm in Syracuse, Sunday 2/19 at 3:00pm at SUNY-Oswego, and Sunday 2/26 at 3:00pm at Hamilton College. Details can be found right here. Christian Capocaccia, music director for the upcoming Syracuse Opera production of Verdi’s Rigoletto, chatted with mid-day host Diane Jones about this exciting production. This is his second collaboration with Syracuse Opera (he conducted “La Boheme” last season), and he is thrilled with the talented cast that has been assembled. He also spoke about the importance of arts in the community and in our lives! More information about Syracuse Opera can be found here. Metropolitan Opera Orchestra violinist Shem Guibbory and Hamilton College pianist Sar-Shalom Strong visited the WCNY studios to talk about their upcoming residency at Hamilton. Collaborating with photographer Peter Laytin, Shem has programmed a wonderful concert including Georges Enescu’s “Impressions d’enfance” in a multi-media performance with Laytin’s works. We also talked about Shem’s “Journey of 100,” and the time Sar judged a competition sponsored by NASA. More information about the residency at Hamilton College can be found here. You may also learn more about “Memories and Reflections,” the collaboration with Peter Laytin, as well as “A Journey of 100” here. Composer Tom Cipullo stopped in to the FM studios today. He is here as part of the Baker Guest Artist Series at Syracuse University as they present a program of three short operas by leading American composers this weekend. Tom’s 10-minute opera, “Lucy,” will be included the program. 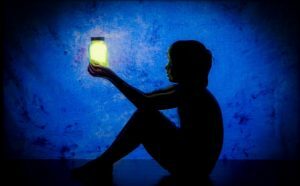 “Lucy” is the story of “an elderly woman visited by a strange apparition.” Tom will also be conducting a forum and masterclass on Wednesday, January 25. 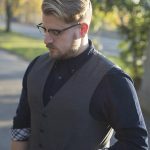 We spoke about the residency, as well as his opera “Glory Denied” (which opened Syracuse Opera’s 2015-16 season), and what draws him to vocal music. Eric Johnson from Syracuse University joined Tom and mid-day host Diane Jones. Details on this weekend’s performances are available at: vpa.syr.edu/calendar. For more information on this and other Society for New Music events, visit www.SocietyForNewMusic.org. Barry Torres stopped by the Classic FM studios to chat with Diane Jones about the upcoming Schola Cantorum concert. We also talked about the joys and challenges of putting together an early music concert, and some of the differences in style from the classical works we hear so often in a concert hall. You’ll also hear a bit of music from last year’s Christmas concert. Take a listen! Kathleen Rathbun, founder and artistic director of the Syracuse City Ballet, visited the Classic FM studios to chat about this weekend’s performances of The Nutcracker Ballet. She and mid-day host Diane Jones talked about some of updates she has incorporated into this year’s performance, including the addition of brother Fritz in Clara’s adventures, and the addition of the Spanish dance. We also talked about the Outreach efforts of SCB – did you know this year over 3,500 school children will experience “The Children’s Nutcracker,” a one-hour abbreviated presentation that introduces them to the ballet? The LaVeck Concert Series is going strong in Pulaski, NY. 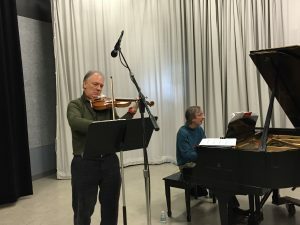 Founder and Artistic Director Robert Auler, along with violinist/composer/conductor David Fulmer, stopped by the WCNY studios to chat about the next concert in the series, and to entertain us with a bit of Mozart while they were here. Take a listen, and get some insight into performing as a trio, and find out David’s thoughts about the pros and cons of electronic and acoustic music. 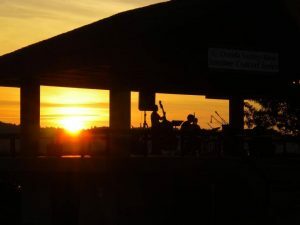 Learn about the LaVeck Concert Series right here: www.LaVeckConcerts.org. On Thursday evening, audiences can enjoy the one-act opera, “The Classical Style,” with music by Steven Stucky and libretto by Jeremy Denk. (This is the last large-scale work by Stucky prior to his death in 2016.) This is the third performance presented by the Society for New Music, and Eric Johnson (who plays Beethoven) and Danan Tsan (who plays Sub-Dominant) joined mid-day host Diane Jones in the studio to chat about this production. Listen in to find out what makes this opera unique! For tickets and more information, visit www.SocietyForNewMusic.org. Soprano Janet Brown and pianist Ida Tili-Trebicka stopped into the Classic FM studios this morning to chat about this Sunday’s tribute concert, presented by Civic Morning Musicals. A tribute to the Centenary of Helen Boatwright’s birth, the concert features former students, friends, and relatives of this wonderful Soprano and Syracuse arts advocate. We also played a couple of short works recorded by Helen. Diane Jones is your host! Bass-baritone David John Pike divides his time between Canada and Luxembourg. This week, he will be back in Kingston, ON, for a concert of both pop and classical music, called “Your Songs.” Take a listen as he tells mid-day host Diane Jones just how that program came o be, and the differences in how he approaches these works. 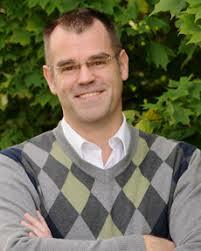 The Syracuse Vocal Ensemble welcomes their new Artistic Director to the podium this weekend! 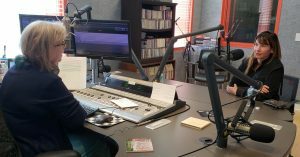 Yunn-Shan Ma stopped by the WCNY-FM Studios to chat with mid-day host Diane Jones about the concert, the upcoming season, and tell us how a chance encounter put a baton in her hand and introduced her into the world of conducting. We welcomed David Neal to the Classic FM studios on Thursday. David is the Founder and Artistic Director of the Arts at Grace in Cortland, and has been presenting concerts there for 13 seasons. He talked with mid-day host Diane Jones about the upcoming concert of music by composer Robert Paterson (including a world premiere! 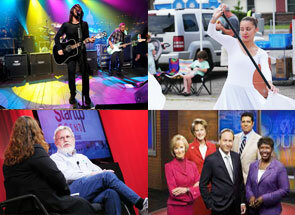 ), the current season of the Arts at Grace, and brought some music for us to enjoy. 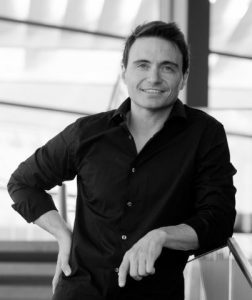 Maestro Fabio Mechetti took time out from rehearsals with Symphoria to stop by the Classic FM studios for a chat. We talked about tomorrow’s concert, working with soloists, and building an orchestra from the ground up! Take a listen…. Maestro Mechetti conducts Symphoria, with guest artist, pianist Valentina Lisitsa, on Saturday, October 8 at 7:30 pm. Details are here. Mid-day host Diane Jones welcomed Jonathan Chai, Artistic Director, and Barbara Haas, Publicity Director, from the Syracuse Friends of Chamber Music for a noontime chat at the Classic FM studios. 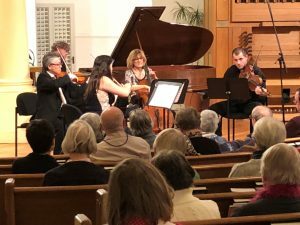 They spoke about the upcoming season, including the 23rd appearance of the Juilliard String Quartet, who will once again present the opening concert for this season. The concert is Saturday, October 1 at 7:30 pm. Details are here. 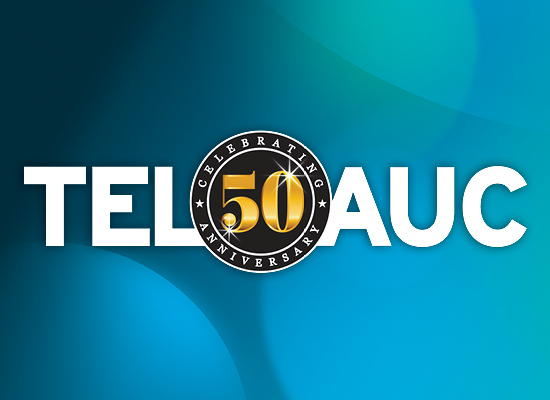 Heldentenor Jon Fredric West joined mid-day host Diane Jones in the Classic FM studios to talk about his celebration of 50 years of performing! He tells the listeners about learning to care for his voice as a teenager, singing six performances of the Ring Cycle at the Met, and shares a little of his Irish heritage through song. Jon will be giving a recital at Hamilton College on Saturday, 9/24 at 7:30 pm. Details are here. The Syracuse City Ballet celebrates its 20th Anniversary Season this year, and they are kicking it off with an “Intimate Evening with the Syracuse City Ballet” this Thursday night. 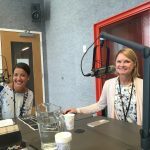 SCB Founder & Artistic Director, Kathleen Rathbun, and Stephanie Dattellas, Ballet Mistress & Company Manager, joined Diane Jones in the Classic FM studio to talk about this event, and the upcoming SCB season. To learn more about the Syracuse City Ballet, including details and tickets for any of their events, visit their website. Stephanie Dattellas (L) and Kathleen Rathbun in the Classic FM studio. Eric Reed and John Rojak from the American Brass Quintet joined host Diane Jones by phone from their classroom at Juilliard in advance of their Sunday concert at Colgate University. 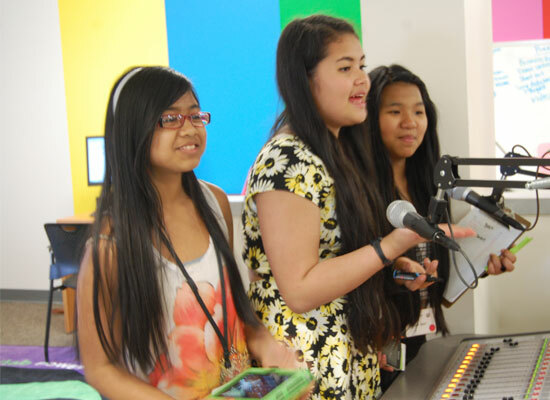 Listen as they describe how they plan a program, mentor young musicians, and more. The American Brass Quintet website can be viewed here. We welcomed Bob Oddy from Civic Morning Musicals into the Classic FM studios to bring us up to date on the new season. CMM brings you free noontime recitals every Wednesday at the Everson Museum of Art, and a regular season of full concerts, along with youth competitions every year. And this season, they are celebrating the recently refurbished Steinway pianos (yes, two of them!) that are used at almost every concert! Visit the Civic Morning Musicals website right here. Jeffrey Siegel will be bringing his Keyboard Conversations to Central New York again this coming Saturday, 9/10. 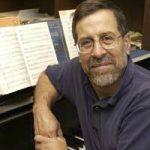 Mid-day host Diane Jones had a chance to chat with Jeffrey about his 26th season at the Munson Williams Proctor Arts Institute, and this Saturday’s concert, “Fiesta!” You can learn more about Jeffrey Siegel and Keyboard Conversations here. The Jewell Trio has been a fixture at A Little Summer Music in Vienna since it’s founding 8 years ago. 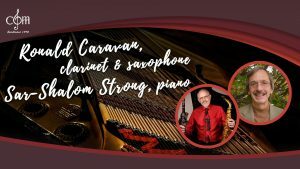 The members of the Jewell Trio – Peter Rovit, violin; Sar Shalom Strong, piano; and Gregory Wood, cello – chatted with host Diane Jones in the WCNY studios and gave a wonderful performance! Some of our WCNY staff were in the audience, and were treated to excerpts from Debussy, Babandjanian, and a rousing Beethoven finale. Details on the concert series can be found on their Facebook page. 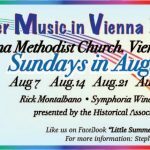 Now in it’s 8th season, A Little Summer Music in Vienna brings a varied concert series to Vienna, NY every Sunday in August. Steve Carpenter and Sar Shalom Strong, organizers of the festival, dropped into the WCNY studios to chat with host Diane Jones about this week’s concert. Sar even brought along some excerpts from the Lafayette Road Chamber Players’ rehearsal a few days ago, just to whet your appetite for Sunday’s concert. Details on the concert series can be found on their Facebook page. The Cooperstown Summer Music Festival goes into full swing beginning August 5, 2016. Festival founder and artistic director Linda Chesis joins host Diane Jones to talk about this year’s events. There’s Elizabethan lute music, a 100th birthday celebration of Frank Sinatra, a troupe of Flamenco dancers, and a marvelous gathering of musicians performing chamber works – something to please everyone! Listen to the interview, then head to www.CooperstownMusicFest.org for complete festival information and tickets. Every year, the Cazenovia Counterpoint Festival of Music and Arts presents two “Rising Stars” afternoon concerts, showcasing up and coming musicians from Central New York. This year, three former Rising Stars returned to Cazenovia for an evening concert. 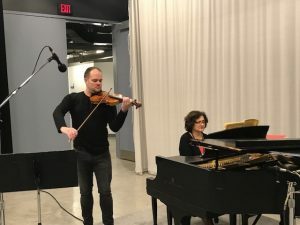 Two of those alumni, tenor Dominick Corbacio and violinist Shelby Dems, stopped by the Classic FM studios to talk about their music and the excitement of revisiting some of their original Rising Stars music, now with a more secure and mature perspective. Co-artistic directors Julia Bruskin and Aaron Wunsch joined host Diane Jones in the WCNY Studios to chat about the upcoming Skaneateles Festival, and to play some wonderful live music as well! More information about the Skaneateles Festival can be found here. What happens when Art and Science intersect? Find out, as Dr. Mark Bowick, Director of the Soft Matter Program at Syracuse University, and Dr. Andrew Waggoner, Chairman of the Composition Department at the SU Setnor School of Music, collaborate. “Hexacorda Mollia” received its premiere during a 4-day international conference on Soft Matter, hosted by Syracuse University. Linda Chesis, flutist and founder of the Cooperstown Chamber Music Festival, visited by phone to talk about her weekend concert, and give listeners a hint of the summer festival that is just around the corner. Live at WCNY welcomed the Neave Trio in the second of our Fall Concert Series. This talented trio delighted our in-studio audience with music and conversation. 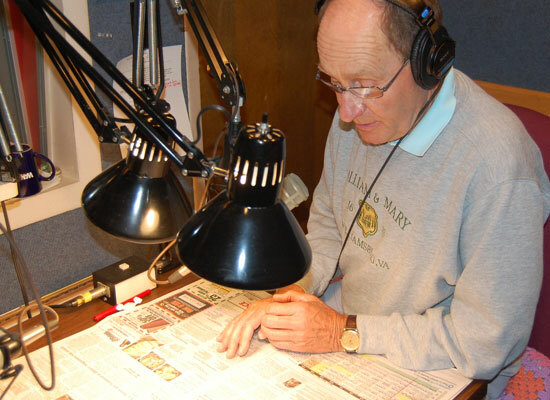 The performance was hosted by Classic FM morning host, Bruce Paulsen. 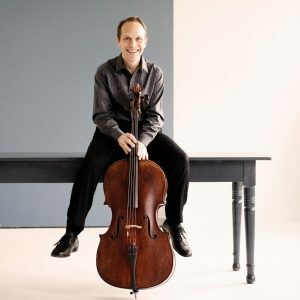 Matt Haimovitz kicked off the Fall Concert Series in 2015 with a wonderful performance of the Bach Cello Sonata No. 1. This was his first stop on a program presenting all 6 cello sonatas plus six newly commissioned works in four locations in Central New York – in just 2 days!